Microsoft is now testing a new Windows 10 cumulative update build 14393.851 for Anniversary Update devices. 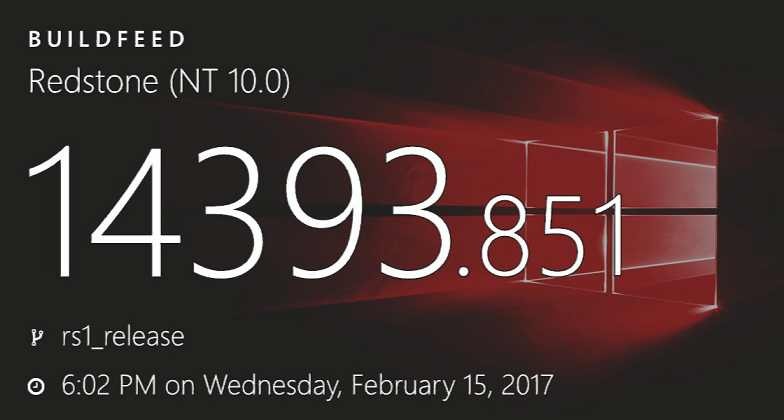 Windows 10 update build 14393.851 for PC and mobile build 10.0.14393.851 were compiled on February 15, 2017. Finally, If you’re a Windows Insider member, Windows 10 build 15025 ISO images are now available for download. You can download ISOs from here. Microsoft’s Windows 10 Creators Update is expected to release in April. The next major update Redstone 3 will release later this year and Redstone 4 update will come next year. Also, the company has started working on Redstone 3 update.